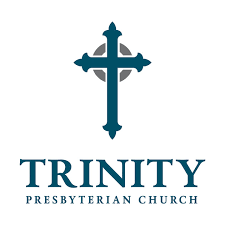 Welcome and thank you for your interest in Trinity Presbyterian Church! It is a joy to welcome you to Trinity Presbyterian Church – a committed family of believers who love God and love each other. Our worship is vibrant, and the sense of community is strong. We love and care for one another. We rejoice with those who rejoice and mourn with those who mourn. Discipleship, mutual accountability, and godly disciplines are keys to Trinity’s commitment to one another. We believe that God is doing a significant work at Trinity and are excited about our future as we are grateful for our past. We hope that you will always feel free to join us for worship. If you are looking for a Church home, we would love to have you join our fellowship as we follow Christ together. He has blessed us richly in the past and we trust He will continue to do so in the future. Every blessing to you.